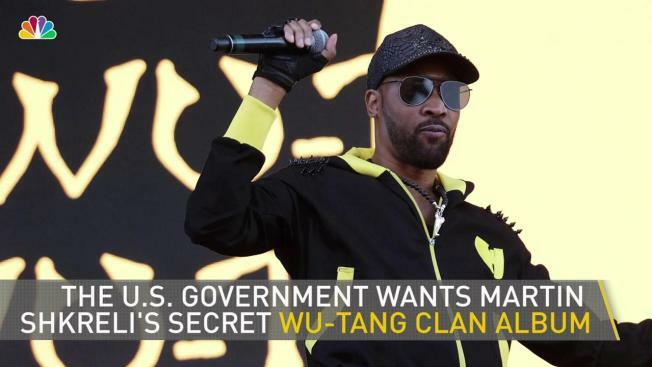 Martin Shkreli has the only copy of Wu-Tang's secret album. Now the government wants it. Shkreli paid $2 million in 2015 for the only copy of "Once Upon a Time in Shaolin"
The U.S. government has a sudden, strong interest in rare rap music -- strong enough to try and seize two albums from "Pharma Bro" and convicted fraudster Martin Shkreli. In 2015, the brash pharmaceutical executive bought the only known copy of the Wu-Tang Clan's "Once Upon a Time in Shaolin" for $2 million. He later got into a public dispute with members of the rap group, at one point releasing a bizarre video in which he -- surrounded by masked men -- threatened to erase Ghostface Killah from the album entirely. In late 2016, he claimed to have acquired the only copy of Lil Wayne's unreleased "Tha Carter V," even playing what he said was part of the album's first track online. Last August, Shkreli was convicted of securities fraud, and he's now in jail awaiting sentencing. A judge revoked his bail in September after he publicly offered $5,000 for a lock of Hillary Clinton's hair. The government, in papers filed in federal court in Brooklyn on Thursday, said it wants Shkreli to forfeit some $7.4 million in assets pursuant to his conviction. Among the assets the FBI proposed seizing are "the album 'Once Upon A Time in Shaolin' by the Wu Tang Clan, as well as any proceeds derived from the sale of such album; the album 'Tha Carter V' by Lil Wayne, as well as any proceeds derived from the sale of such album." The forfeiture list included a brokerage account and a Picasso painting as well. Shkreli's lawyer Ben Brafman said they will vigorously oppose the forfeiture motion. "Our position is clear. None of the investors lost any money and Martin did not personally benefit from any of the counts of conviction. Accordingly, forfeiture of any assets is not an appropriate remedy," he said in a statement.